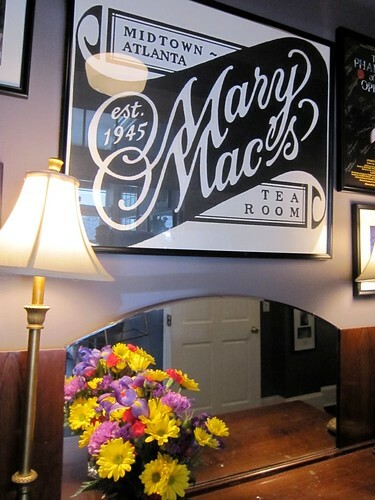 Though we were not dressed to fit in with the church crowd, we absolutely loved our Sunday dinner at Mary Mac’s Tea Room in Atlanta GA. 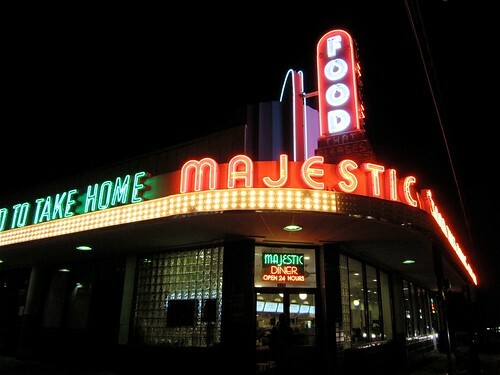 Since 1945 folks in these parts have enjoyed the southern cooking and hospitality at this landmark restaurant. And so did we! 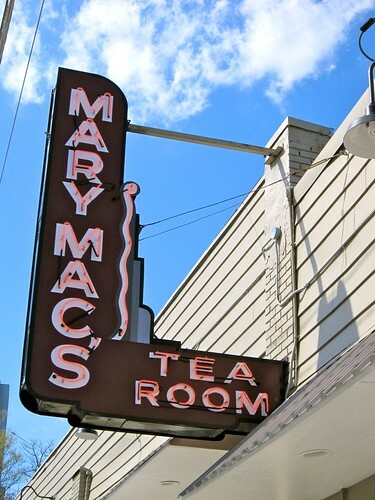 The restaurant is no longer owned by Mary Mac (was she all dressed in black? With silver buttons down her back?) 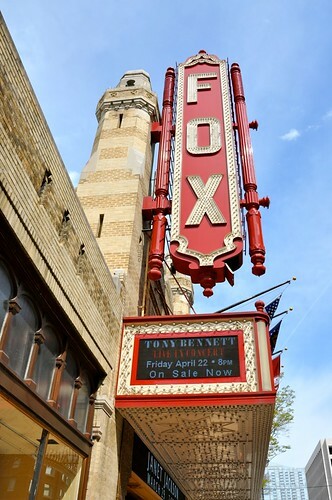 but is flourishing under the ownership of John Ferrell who was hand picked by the last owner to take over the business. And by the crowds we encountered he’s doing it right! 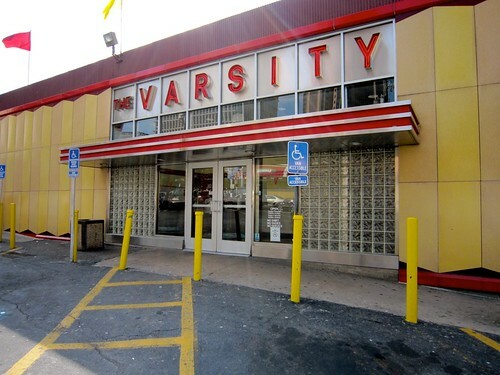 Silver Skillet Atlanta GA – Best Breakfast n Biscuits – nom! 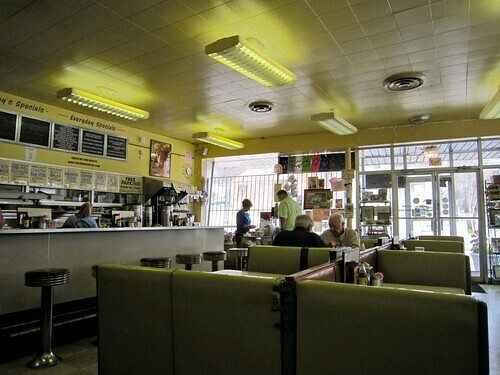 One of the best breakfasts we had on our Retro Road Trip was at The Silver Skillet in Atlanta GA. Homemade biscuits and country ham now, please! Opened in 1956 and purchased in 1967 by George Decker, the restaurant is still family owned and operated by his daughter Teresa and her husband Jeff. 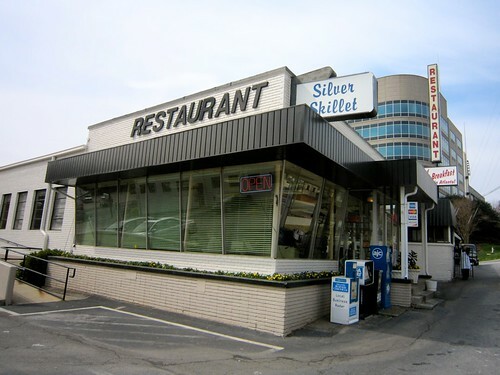 Here’s a photo of what the Silver Skillet looked like some years ago from Flickr pal Julie Wilson. As you can see from our photo below they have not really changed the decor in all those years – which is a wise move! Not only because it’s RetroRoadmap Worthy but their “period decor” has made them a location for movies, commercials, videos, and print ads. You can even see glimpses of our seasoned and sassy waitress in the DDD video – I swear she called RetroRoadhusband hon, sweetie, darling more than I do! Ah, those Southern belles. Thanks to Rick Kilby of Visual Ephemera, who was as amazed as I was to realize we did not have even one Retro Roadmap entry for Georgia. He graciously shared this bit of GA and his history on his blog and has allowed me to repost it- thanks Rick! When I noticed that fellow blogger Mod Betty’s blog Retro Roadmap had no posts for the neighboring state of Georgia, I felt compelled to write about one of my favorite spots, Tallulah Point, in Northeast Georgia. We used to stop there when I was a kid on the way to see our relatives in Clayton and the place has changed very little since then. Basically a gift shop with an observation deck, the Point overlooking Tallulah Gorge has been pulling folks off the highway since 1912. 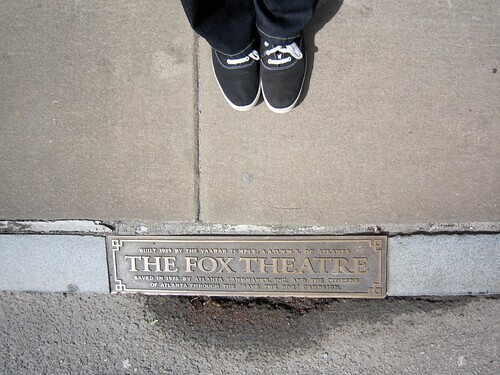 When I visit, I can feel the history in the place and my mind races back to childhood. My imagination roams from the days when locomotives brought in fancy tourists from Atlanta, to the feat of daring when Wallenda walked the equivalent of 3 city blocks on a thin wire in 1970. I can think of nothing better to represent the state of Georgia on the Retro Roadmap. As a kid I remember seeing the cable stretched across the chasm and being amazed that someone would be brave enough to walk across. And I remember there used to be a train locomotive from Disney’s The Great Locomotive Chase that was filmed nearby. 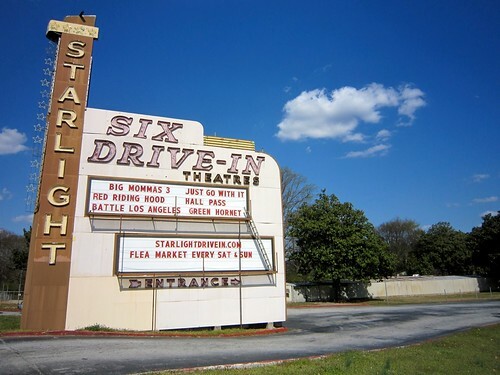 This place captured my imagination and was a symbol that our long drive from Gainesville, Florida was near its end. Looking at the business today with adult eyes I see the history in the rusty distressed signs still left around the place. The gift shop is pretty well equipped, although the only thing I was tempted to buy on two trips there this year was box of assorted moonpies. The porch still has a great view of the gorge, and a hillbilly to boot, but it seems much smaller than when I was kid. While the gorge itself is certainly no Grand Canyon it is always a great contrast from the flat Florida topography and a great way to start any trip to the mountains. The gorge was formed as the Tallulah River eroded rock over millions of years leaving a 1,000 foot gouge in the earth. The first tourist hotel opened in 1840 and a railroad built between the Gorge and Atlanta in 1882 secured the gorge as North Georgia’s first tourist attraction. The town of Tallulah Falls sprang up in 1885 and at one point there were seventeen hotels and boarding houses for visitors to the “Niagara of the South.” Many of those burned down in 1921. The depression put a further hurtin’ on tourism, yet somehow the little business at the edge of the gorge has endured.